NATIONAL POST – Ken Coates and Greg Poelzer discuss the NWT Devolution Act and its implications for northern Canada and the country as a whole. Read the story here. CBC – Ken Coates explains the significance of the upcoming court battle over the Peel Watershed Land Use Plan. Click here for the full story. CBC NEW BRUNSWICK – In light of the recent protests against mining operations in New Brunswick, Ken Coates addresses Aboriginal rights to land in the Maritimes and why demands for a treaty are arising. 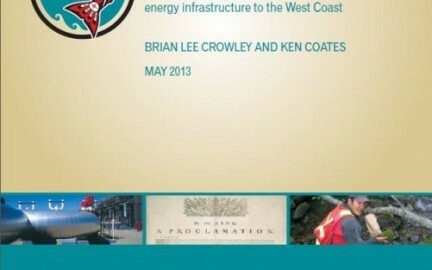 CBC NEW BRUNSWICK – Ken Coates evaluates the situation in Rexton, NB as protests over shale gas exploration escalate. CBC NEW BRUNSWICK – Ken Coates and T.J. Burke agree the provincial government needs a modern treaty with First Nations. CBC NEW BRUNSWICK – Rachel Cave talks with historian and public policy academic Ken Coates about the showdown between the Elsibogtog First Nation and the province over shale gas exploration and land rights.